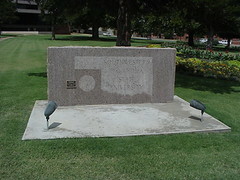 The University was established by an act of the Oklahoma Territorial Legislature in 1901 as the Southwestern Normal School. The Normal School was authorized to offer two years of training and four years of preparatory work for students who were not qualified for college admission. The first classes met in 1903. In 1920 the preparatory or academy courses were eliminated and two additional years of college work were added. The state legislature approved a change of name to Southwestern State Teachers College. The first baccalaureate degrees were awarded in May, 1921. Other major changes in name and purposes occurred in 1939 when the institution was designated as Southwestern State College of Diversified Occupations. In 1941, it became Southwestern Institute of Technology when the college added a School of Pharmacy, degree work in the arts and sciences, and trade schools to its original function as a teacher-training institution. The Oklahoma State Legislature in 1949 again changed the name, this time to Southwestern State College, without altering the broad scope of its purposes and education objectives. Since that time there has been full accreditation by the North Central Association of Colleges and Secondary Schools. 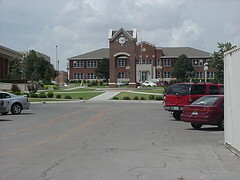 In addition, the University is accredited by the National Council for the Accreditation of Teacher Education, the Oklahoma State Board of Education, American Council on Pharmaceutical Education, the American Chemical Society, the American Medical Association Committee on Allied Health Education and Accreditation, in cooperation with the American Health Information Management Association, the Oklahoma Board of Nurse Registration and Nursing Education, National Association of Schools of Music, National Association for Music Therapy and the National League for Nursing. In 1953 SWOSU inaugurated an advanced professional program leading to the Master of Teaching degree, now called the Master of Education degree. In addition to the M. Ed. degree in 15 different fields of specialization, SWOSU offers the M. S. degree in Applied Psychology, the Master of Business Administration degree, and the Master of Music degree. 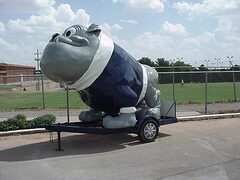 In 1974 the Oklahoma State Legislature changed the name of the institution to Southwestern Oklahoma State University. 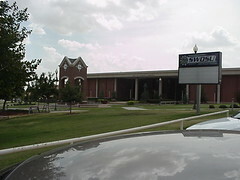 On July 1, 1987, by an act of the Oklahoma Legislature, Sayre Junior College was merged with Southwestern Oklahoma State University as a branch campus designated as Southwestern Oklahoma State University at Sayre. From Main Street in Weatherford, turn North on Custer and go six blocks. You will drive right to the main campus entrance.